How Can Home Care Help Adults with Cerebral Palsy? Cerebral palsy is a developmental disorder that affects how well a person is able to control the movements of her own body. Cerebral palsy is a congenital disorder that has no cure. People with cerebral palsy can live independent lives, but having some help from caregivers and home care providers can help immensely. Pain can be a tremendous issue for someone with cerebral palsy. 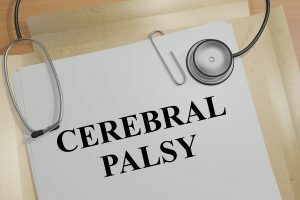 Pain connected to cerebral palsy may be a result of surgical procedures or simply due to the cerebral palsy itself. Many people with cerebral palsy experience seizures which cause musculoskeletal pain that can be incredibly intense. Managing this pain on a daily basis might take adhering to many different treatment options and home care providers can help to ensure your family member is able to access those options. Task persistence is a term used to describe a person’s determination to continue performing a task, even if it’s not comfortable or even painful. In relation to cerebral palsy, task persistence is a form of pain management that can be effective for some people and some situations. Task persistence may need to be something that your family member approaches gradually and with a great deal of support. Facilitate Engagement in Social Activities. Many people with cerebral palsy are reluctant to seek out social activities. They may worry that they stand out or that they’re not going to find people who want to engage with them. Home care for adults with cerebral palsy can help to bridge that gap and to find situations and settings that are going to be more accepting for your family member. Since transportation can also be a common problem, having someone there who can help your family member actually get to those social engagements is crucial. It’s not unusual at all for adults with cerebral palsy to have trouble with eating enough to help them manage their calorie intake. They may not be eating enough protein to help them maintain muscle mass, for instance. Having some help from home care providers can enable your adult with cerebral palsy to prepare and eat meals that help to meet those nutritional needs. As nutrition improves, so too may some other issues that your family member has been facing. Your family member’s needs may vary from these, of course, but hiring home care for cerebral palsy patients can help them to live a happier, fuller life than they might have been able to do on their own. Even a little bit of help right when it’s needed most can make life so much better. If you or an aging loved-one are considering professional home care in Baltimore, MD, please call the caring staff at Global Hands Inc. Call today 240-264-0769. This entry was posted in Cerebral Palsy, Health Issues, Home Care in Baltimore MD and tagged Home Care in Baltimore MD. Bookmark the permalink.